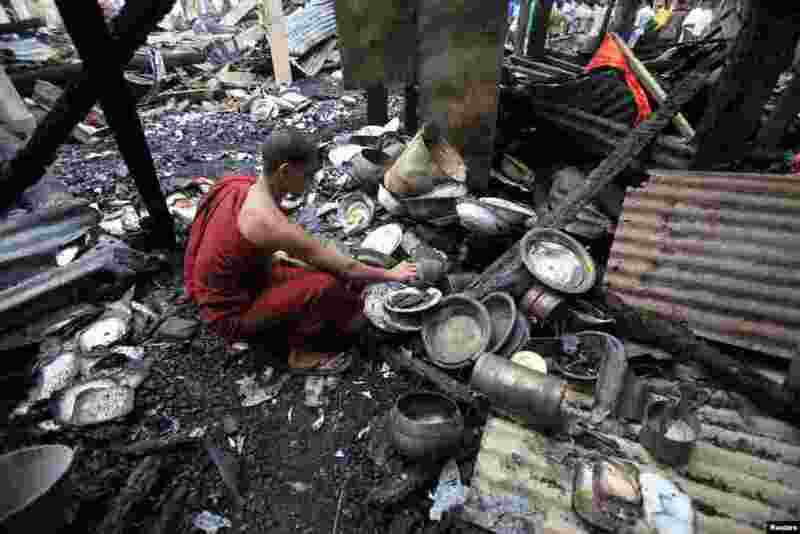 5 A Buddhist monk tries to salvage his belongings from a burnt temple after an attack by Muslims, in Cox's Bazar, Bangladesh, October 1, 2012. 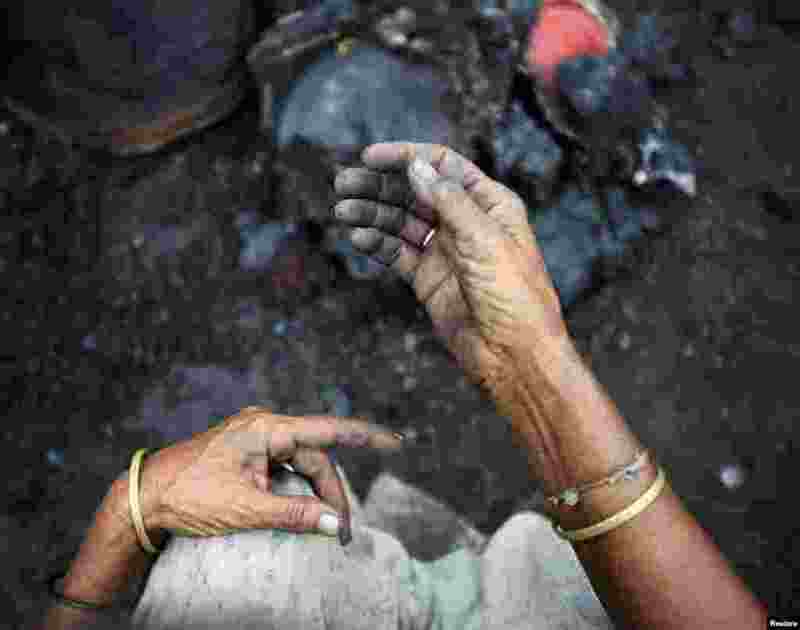 6 Hands of a Buddhist woman are seen as she tries to salvage her belongings from her burned home after Muslims attacked it in Cox's Bazar, Bangladesh, October 1, 2012. 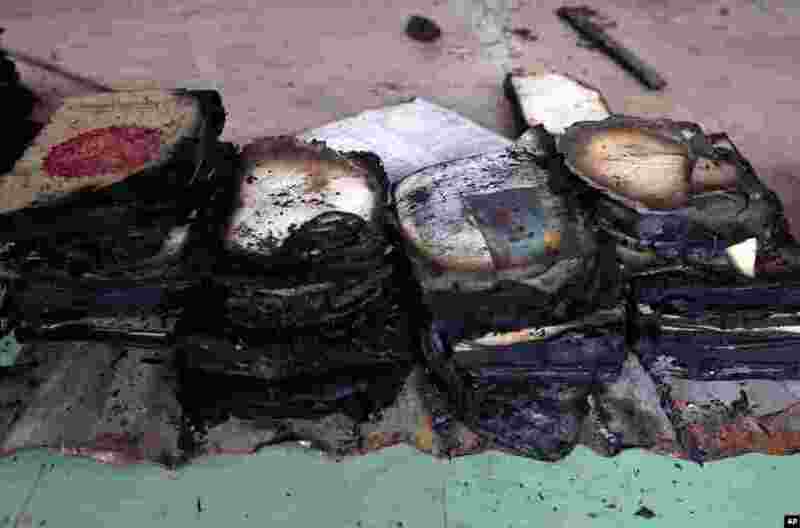 7 The remains of burned religious books at a Buddhist temple that was torched in an overnight attack in Ramu in the coastal district of Cox's Bazar, Bangladesh, October 1, 2012. 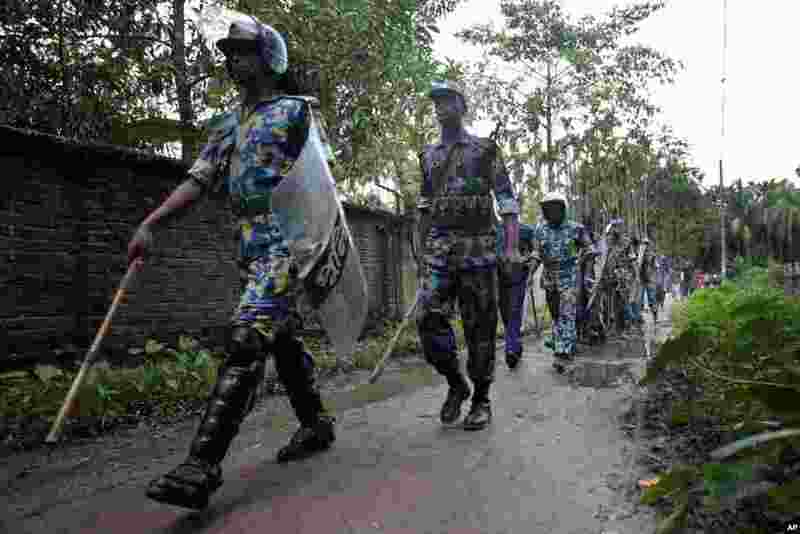 8 Bangladeshi police patrol after Buddhist temples were torched in an overnight attack in Ramu in the coastal district of Cox's Bazar, Bangladesh, October 1, 2012.